How can we help you with airport parking today? With the help of weholiday.co.uk you can compare airport parking deals for all UK airports, saving you time and money. Book with confidence - weholiday.co.uk benefits from ABTA and ATOL membership. If you click the 'Get Prices' button above, the easy-to-use quotes form will ask you to name the airport you'll be leaving the vehicle at from a simple drop-down menu. Select the date and time you require parking from, plus when you plan to return to collect the car. Finally, let us know the number of adults, children (aged two-to-11) and infants (up to the age of two) that'll be in the vehicle. The results page will present your parking choices, showing the name of the parking company, a description of the service, the price and the airport terminal(s) served. Each option is expandable to reveal the detailed information you need to make your decision, including car park location, distance from the terminal, directions, address, contact numbers, transfer frequency, minimal stay, security measures, and arrival and departure procedures. When you see an option that's right, click through to give your vehicle, driver and flight details and to make a straightforward online purchase. If you're struggling with the options, at every stage on the forms you'll see a phone number you can call for help, plus links to a 'contact us' page. 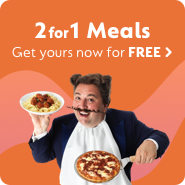 You can also try Gocompare.com's guides, where you'll find the answers to frequently asked questions. Our guides can help you with the definitions of the different options - short-term, long-term, on-airport, off-airport and meet-and-greet (also commonly referred to as valet parking). Get help with choosing the right airport parking company, and learn more about security, the benefits of pre-booking, and other travel and money-saving tips.